Most people have had no experience of hearing a subwoofer. It could have been in your home surround system, car stereo, or maybe just at the movie theater. Subwoofers help make the sound so much fuller. Sometimes though, there is a lack of space. Subwoofers after all can take up a lot of space. Subwoofers after all can take up a lot of space. Transducers, however, provide a similar effect, but require less space. Up for review today is the Earthquake Shell ShoXX shaker for gaming. The Earthquake Shell ShoXX is a shaker designed for gamers. It is designed with a transducer to be mounted under your seat. And then it has a class J amp to power it. The transducer is not a speaker, so it does not output sound. Instead, it is a shaker motor that vibrates back and forth, simulating the low vibration that you feel with a subwoofer. The Earthquake Shell ShoXX came well packaged and double boxed. Opening up the initial box revealed the typical printed boxes with pics and info on the product. Opening the box revealed two other boxes. One held the transducer and it's power cord, the other held the digital amp for the transducer. Build quality of the transducer was absolutely solid. It had some great heft to it, and the fit and finish was very good. The amp was in a gaming style camouflage plastic case. I was initially surprised at the plastic case for the amp. But then realizing it would more than likely end up being mounted to a desk, plastic would be just fine. And it did feel well put together. I have seen Earthquake products before, and they always seemed to be high quality and solidly built products. The included instructions were easy to follow. It helped make the installation simple. It was just a matter of mounting the transducer and amp, then running the wiring. Simple. The wiring instructions did not include instructions for wiring it to a 5.1 system, but it was easy to figure out. I have to say, I was skeptical of how well it would perform...just the whole transducer idea. But, WOW, was it cool! It gave a whole new experience to gaming, and I am used to using a subwoofer! There were easy controls to adjust the output level. If you turn it up over halfway, explosions are massive! And in battling the large demon/monster, you could actually feel their breathing. Very cool! And the way it felt.......PERFECT!!! Earthquake really nailed it with the Shell ShoXX! One potential problem is it may not be for everyone. With the high output, the Shell ShoXX could be a little distracting. You can turn it down and the explosions are not as big, but then again that demon/monster breathing which could be felt that I thought was sooo cool...is also gone. I thought it was best at a higher output level, and gave a new experience to gaming. It also could be used for audio music! The transducer just added to the experience. At an MSRP of $595, it is not a cheap system. But you do get what you pay for, and oh it is worth it! If you are one that likes to get their game on, this Shell ShoXX from Earthquake is a must to check out. 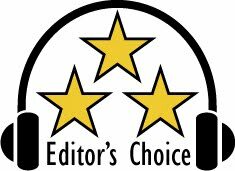 Based on it's design, features, quality, and performance, it has earned our Editor's Choice Award. For more details and complete specs, check out their website at www.earthquakesound.com.